The dependable and accurate Neptune oscillating piston design has long been the meter of choice for refined fuel delivery. The straightforward operating principle requires few moving parts and results in a robust and durable mechanism. 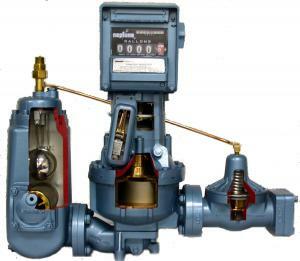 Combined with the E4000 electronic register, the Neptune LP gas meter delivers the highest accuracy and reliability attainable in mechanical metering.